WTF Deaver? Bond in a Subie. Seriously Jeffrey Deaver? Really. 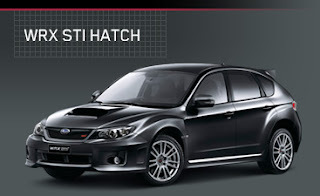 James Bond driving a new Subaru STI, blue no less, in Carte Blanche the newest continuation Bond novel. And you have him "becoming quite fond of it." Not for all the flat-brimmed DC hats in the world would James Bond be happy to drive such a Bro vehicle as the STI. He is all about subtle style. Panache. Not peacocking. James looks ridiculous in that DC hat right? Well, he looks just as odd in an STI. Sure James has been put in some questionable cars by continuation authors(Flemming never put him in anything but the classics) including a Z3 and Saab turbo. Why, oh why do continuation authors insist on tweeking Bond's character. Write a story with Fleming's Bond, not your idea of Bond. But no one has made as egregious Bondian automotive error as you Jeffrey Deaver. You should be ashamed. For the rest of the book, you should be ashamed as well. Yawn. Really, your plot for a Bond novel is based on someone locking up food donations to Africa? Bond caring about a potential loss of life of a few people? Really? Ugh. And, making Bond quit smoking. Guilt over women. And dress in loose fitting clothes. FAIL. You have removed all of his Savoir Faire. 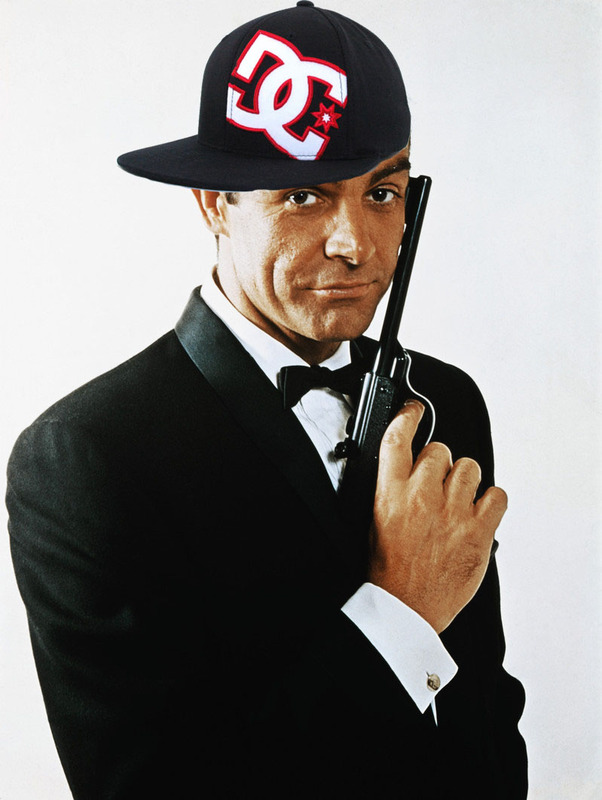 I love American Chardonnay's, but Bond would not. He would choose a white Burgundy. And if you look at the reviews on Amazon you will see I am not alone in being shocked how Deaver f'd with Bond. Thanks to Subaru and DC for photos. I did the hack PS job. Four Hour Paint Job Video. In 30 Seconds. This saturday the 901 Brown Bomber became the 901 Li'l Leprechaun. Seriously, it only took four hours to wash, tape, prime and paint the car. Before that I had probably 20 hours in sanding and prep. Material costs, including misc. supplies was $408. And that was with single-stage urethane. There is no such thing as a cheap paint job with shortcuts. It came out really well. Can't wait to buff it out and reassemble. And then, place my new decals on. Almost too nice to race. Almost. I love old racecar numbers. To me, this is what transforms a car into a racecar. And there are many looks available. But I wanted something classic, but with a twist. So I had an art director friend I work with put these together. It solves the problem most three-number rondels have of lots of white space in the middle. Me likey. Here is more inspiration at this design website. Just had to share these pics of my neighbors' beefy 500e that I snapped. 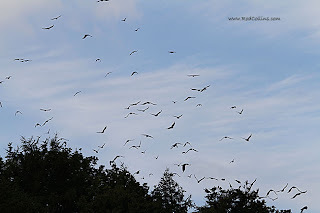 A Murder of Crows for Cars. Naming Car Congregations..
First, thanks to rodcollins.com for the pic. Spooky. Now, I always thought those animal congregation names are so evocative. I mean, murder of crows, it is perfect. But how about a Troop of Apes, a Charm of Finches, a Kettle of Hawks, Cackle of Hyenas or Bloat of Hippopotami? All are great. Many more here. But no car equivalent exists. Until now. I mean, Ferraris are fetching. And they fetch quite a bit of cash. So, perfect. Start using it. Lotuses are light. Airy. Their design is fleeting and so is their durability. Porsches are the hardest working exotics. Period. They are also rather brutal cars, especially the turbo variants. Obvious. Clubby British car. Clubby owners. Just plain Clubby. Polarizing. Just like Corvettes. Some would like to see them burn in a bonfire. Others would like to use theirs to turn their tires into bonfires. The whole JCNA 100 point scale and condescension of many owners has this one going down a more serious, as opposed athletic, path. Remember, I own a MK2 so I mock myself. They can go over most obstacles. As well as most turn into an obstacle in the owner's driveway with their repetitive breakdowns. More to come. Please send me your suggestions. 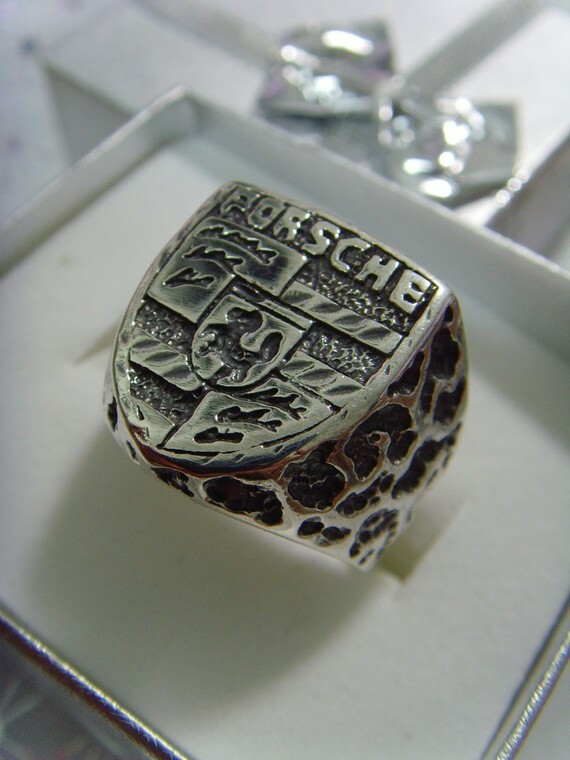 I was checking out Etsy the other day and came across this Porsche ring. Let me say, I never wear rings, not even my wedding band. But if I was say of a certain generation or demographic, I might wear this. I love the rugged tooling of it. Like a university class ring. Of sorts. Maybe the horse looks more like a urinating Poodle, but who cares. Check out more Porsche stuff at Etsy here. A 944 doesn't look too big until you start to sand it. I am sanding down the 944 in preparation for a new coat of paint. Scheme is a secret, but I think all my readers will be pleased. I am only going to tell that it will not be a respray in Sable Brown Metallic. Lots of excellent inspiration out in the world, that is for sure. So, this is exciting. And arm-numbing preparing the car.